Or, if you would like a personally autographed copy, just e-mail us with the name. 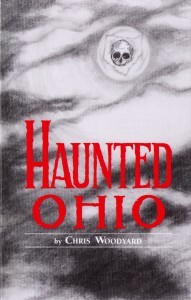 Visit that altered state of consciousness: Haunted Ohio. There you’ll meet a haunted garden-party dress, the actress who vanished from her dressing room and who still takes curtain calls, and the headless motorcyclist of the Great Black Swamp. Over 125 tales: some folklore, mostly “true” ghost stories based on interviews and personal experiences. There are tales as old as Native American ghostlore, as new as the one about a haunted airplane. There are stories about haunted presidents and haunted swimming pools. There are tales of the dead and famous and of the faceless dead. Stories from the following Ohio counties: Ashland, Auglaize, Butler, Champaign, Clark, Clermont, Columbiana, Coshocton, Crawford, Cuyahoga, Defiance, Erie, Fairfield, Franklin, Greene, Guernsey, Hamilton, Hardin, Knox, Lawrence, Licking, Mahoning, Marion, Medina, Meigs, Miami, Montgomery, Morgan, Morrow, Muskingum, Noble, Perry, Portage, Richland, Sandusky, Summit, Tuscarawas, Vinton, Wood, Wyandot.